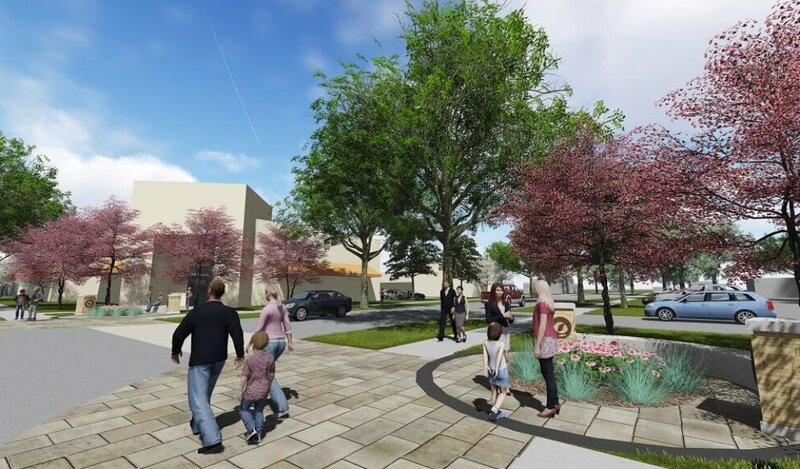 In 2015, the City of Fort Dodge, Iowa advanced to the Quarterfinalist round of the America’s Best Communities competition, a $10M initiative to stimulate revitalization in small towns across America. The City received $50,000 to develop revitalization strategies for its local economy and improve the quality of life for residents. The City of Fort Dodge and the Greater Fort Dodge Growth Alliance chose to focus the award on a neighborhood located in the northwest portion of the City, which is bordered by the Des Moines River to the west and Lizard Creek to the south. This district consists of small homes and has an older demographic with limited purchasing power, despite its proximity to some of the larger agriculturally-based businesses in the region. The area has experienced little growth and offers very little in the form of neighborhood services. Its proximity to the Des Moines River and US Hwy 169 create recreational and business opportunities for revitalization of the district. 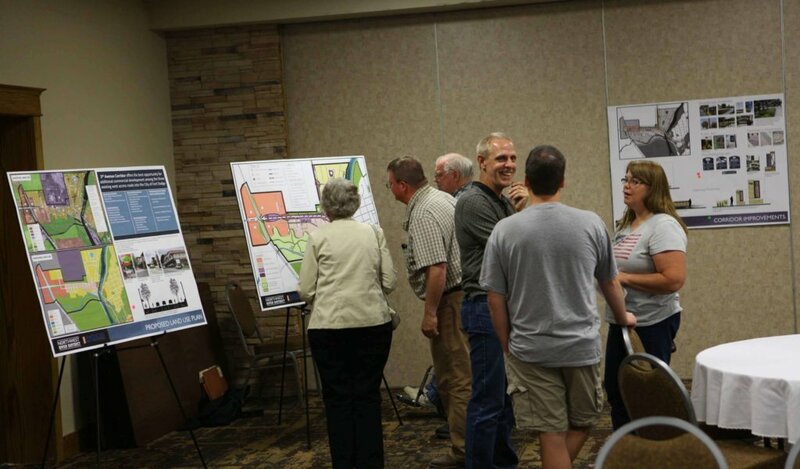 In just over 3 months, our team guided and developed the Fort Dodge Northwest River District Revitalization Plan. The plan was developed through an extensive public engagement process, social media marketing, and closely spaced steering committee meetings to bring all parties together. The plan included land use change alternatives, transportation system changes, 3D graphic design, recreation alternatives expansion, a detailed market assessment, gateway/livability features concepts, and strategies/tactics for implementation. 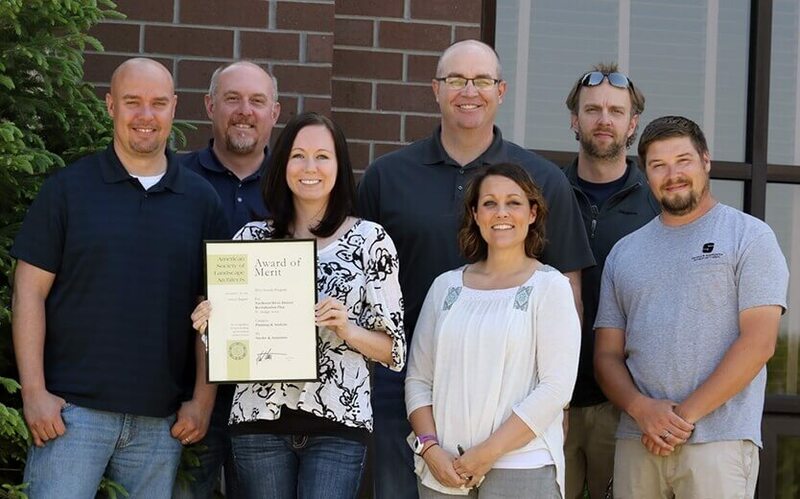 Our project team received a 2016 Award of Merit for Planning & Analysis for the project from the Iowa Chapter of the American Society of Landscape Architects (ASLA-IA). Team strengths in graphic design, infrastructure design, and recreational facilities planning were supported by a Market Assessment that guided plan development. 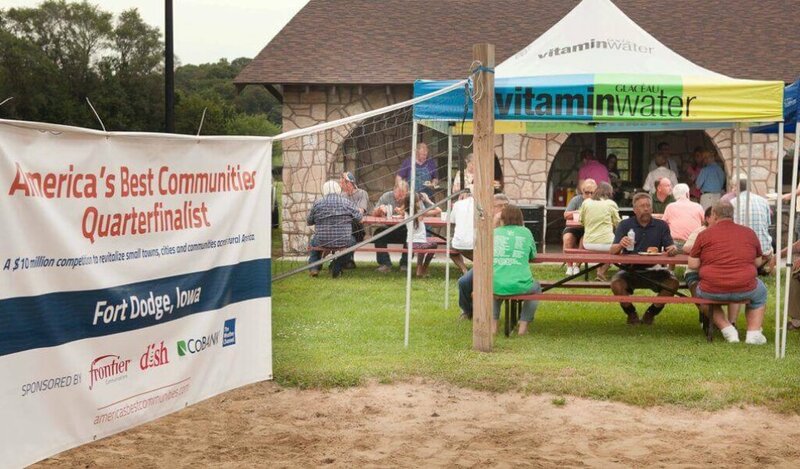 We also provided consulting and marketing expertise to assist the community in securing the funds acquired through the America’s Best Communities competition. Contributing team members include – back row (left to right): Bret J. Balvanz, Landscape Architect; Tim West, Landscape Architect and Project Manager; Wade Greiman, Project Engineer; Jeff Walters, Environmental Scientist & front row (left to right): Diane E. Goering, Landscape Architect; Mindy Sauer, Graphic Designer; William J. Riordan, Videographer.